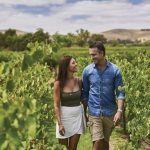 Whether you choose to rent a car or jump on a day tour from Adelaide, just 50 minute north east of Adelaide, you’ll arrive in the Barossa…an internationally-acclaimed wine region encompassing the towns of Tanunda, Angaston and Nuriootpa. Home to over 80 cellar doors, you can taste some of the most awarded wines in the world and sumptuous local produce. We only sell the best tours which you can book online receiving an instant confirmation and paperless voucher. Even better…purchase one of our Discounted Passes which includes three tours for the one price and SAVE! Visit the Elderton Wines Cellar Door, and experience the lifestyle of the Barossa Valley, taste wines whilst learning about the heritage of Elderton Wines. 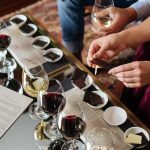 For those with a sweet tooth, we provide a decadent tasting featuring a range of wine paired with premium chocolates produced by one of Australia’s master chocolate makers, allowing you to make up your own mind as to the best chocolate to serve with wines of the Barossa. Visit the Elderton Wines Cellar Door, as you experience the lifestyle of the Barossa Valley, and taste our wines in this intimate Shiraz Masterclass, hosted by one of our passionate Cellar Door team. Explore the diversity of Shiraz and the distinctive characteristics of three estate grown, flagship wines. 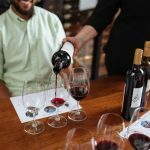 Enjoy an exclusive Past, Present & Future wine tasting, where we delve into back, current and yet to be released, future vintages of our St Hugo wines. 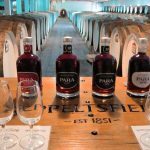 This experience includes a walking tour the vineyard and unique cork trees. This tutored tasting of six wines showcases St Hugo’s power and elegance, which has occurred over years of carefully crafted wine making. In this interactive lunch workshop our staff will test your brain, challenge your taste buds with common and unusual combinations. Let us take you on a journey with complimentary food and wine pairings. A two course shared style lunch is included after the sensory experience. Each guest will also receive one complimentary glass of Jacob’s Creek wine and a tea or coffee to finish. On this full day tour from Adelaide you will visit world renowned wine region the Barossa Valle. Full of history, this region is home to over 80 Cellar Doors and you will visit one of the oldest vineyards in the world, with Shiraz vines planted in 1843. 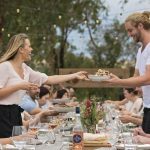 Enjoy visiting up to four wineries with wine tastings by passionate vigneron and a delicious 2 course lunch at a restaurant with a complimentary glass of wine. A full day tour with an informative and professional tour company. SAVE $25 when you book these three tours as a Discounted Pass. 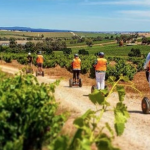 Experience a Chocolate & Wine Matching Tour, Jacob's Creek Wine & 2 course Lunch plus a Segway Tour of Seppeltsfield Winery by purchasing the three tours together. Simply select your dates and receive an instant confirmation and saving!